From the author of the novels Love on the Killing Floor and Dragging the River, Trevor Clark’s new collection of stories covers broad territory, from an addict’s confessions to the corruption of academia, in such diverse locales as Jamaica and the UK. 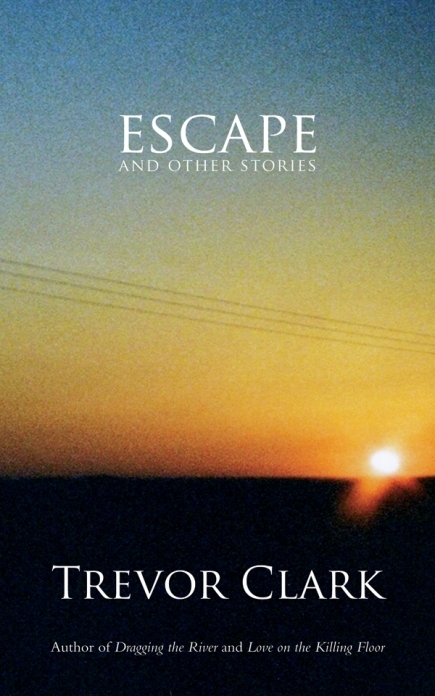 The subtle nuances of knifings, the unforeseen rise of Islamic terrorists, the familial kidnapping and the marriage of convenience that takes a wrong turn—Escape and Other Stories is a rough and tumble collection of tales that not only crosses genres, but oceans as well, drawing the reader into worlds of majestic dilapidation not often seen, but which all of us endure. It is with great sadness that we announce the unexpected passing of Trevor Clark on April 4, 2019. Trevor was not only a capable and courageous writer, but a fascinating person. As a writer, he was seemingly from another, more classical time, and didn't really fit into the strict definitions of what is supposed to define one today. That is one reason why we chose to publish so many of his books. His characters were always very real and very raw, and one didn't have to ponder very long the question of how much of himself Trevor injected into them. It was our pleasure (and, we felt, something of our duty), to present his writing to the world. With so much in letters being driven by political correctness these days and the need at whatever cost to not offend, his writing stood out boldly, as much the hammer as the nail. We loved him for that; he was unabashedly exactly who he presented himself as, and that will always have value in this world, no matter the direction the political or cultural winds are blowing at the time. 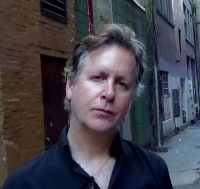 Among other things, Trevor Clark worked as an oilrig roughneck, editor, portrait photographer, bookstore manager, and home entertainment coordinator for a TV movie production company in London, where he lived for a number of years. He was the author of numerous works of fiction including Hair-Trigger, Dragging the River, Love on the Killing Floor and Escape and other Stories, and his photographs appeared in Designs of Darkness: Interviews With Detective Novelists, (Bowling Green University Popular Press,) and Interviews With Contemporary Novelists (Macmillan/ St. Martin’s Press,) both by Diana Cooper-Clark, as well as Ross Macdonald: A Biography, by Tom Nolan, (Scribner’s,) NOW, and the Globe And Mail. He last resided in Montreal. Trevor's latest novel, Damaged at Daybreak, is now available for purchase.